With the upcoming release of Adobe Photoshop Lightroom 1.0, lots of new users will have questions about how best to use the application and get up to speed quickly. Fortunately, Inside Lightroom just launched to meet those very needs. 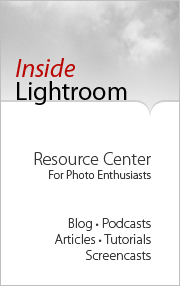 On Inside Lightroom, you can absorb tips from power users on the daily blog, download tutorials, listen to podcasts, watch instructive screencasts, and peruse a variety of links to other Lightroom resources. One of the bloggers, Mikkel Aaland, was the organizer of the Lightroom Adventure: Destination Iceland, and is writing a book covering post production tips used by professional on location in Iceland. He'll be sharing lots of insights on Inside Lightroom. And if you want to contribute to the site, just click on the mail link at the top of the page and state your case. 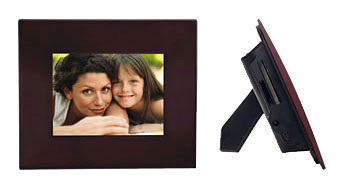 The variety and quality of digital photo frames available today offer photographers a viable way to display their work. The advantages of these devices include the ability to stream many images through one frame, it's easy to prepare your work for digital display, and they have become quite cost effective. 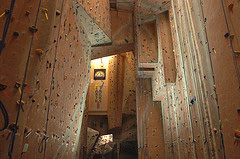 Most digital frames can read images directly from a memory card you're that prepared either in-camera of via your computer. Want to change the pictures? Just change the card. 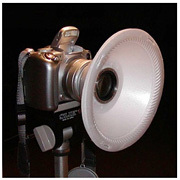 Some models are WiFi and Internet-enabled allowing you to stream pictures from your flickr account or other sources. I've even seen models with remote controls. You can find quality digital frames starting as reasonable as $100 US. The curious can survey an overview of some of the frames available today here at Yahoo Shopping. Could be a clever Valentine's gift for that special someone in your life. One of my favorite lighting guys, Strobist, has just finished an assignment where he had to light a large interior. One of the things he mentions in the article is a tip that I want to pass along here. You can often brighten your flash-illuminated shots by taking your exposure off program mode and setting it to a slower speed, such as 1/30, 1/15, or 1/8 of a second. The 1.0 version of Lightroom will be available on Feb. 19, 2007 for both Windows and Macintosh platforms. Early adopters who purchase the application before April 30 can do so for $199 US. After April 30, Lightroom will cost you $299. Adobe is also providing a free trial download of the 1.0 version on Feb. 19. Current users of the beta version of Lightroom will have to decide what to do by Feb. 28, because that's when the current beta expires. Adobe engineers have been very busy during the final phases of application development. In addition to many performance and UI refinements, the shipping version includes some great new features. Two of my favorite new tools are "Targeted Adjustment" and "Clone and Healing." 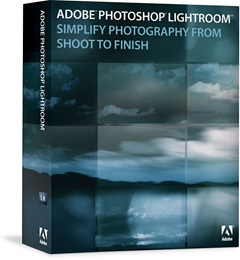 Both provide Photoshop-like power within Lightroom. Version 1.0 also includes support for 150 native Raw formats, including many of the latest camera models such as the Nikon D40, D80 and Pentax K10D. Mac users will need OS X 10.4 and at least a PowerPC G4 processor, but I recommend an Intel Mac for best performance. On the Windows side, you'll need XP with Service Pack 2 and an Intel Pentium 4 processor or newer. Lightroom isn't certified for Vista yet, but will be soon. There's good news on the Raw processing front too. Adobe Camera Raw 3.7 will also ship on Feb. 19, and this latest version is compatible with Lightroom, so the adjustments you make in ACR will look the same in Lightroom, and the other way around. This brings excellent compatibility between the two applications. One of my favorite features in Lightroom is the ability to back up your masters to another hard drive at the time of import to Lightroom. By enabling backup at import, photographers can confidently erase their memory cards immediately, which is very important when working in the field. Overall, Lightroom is a bold step forward for Adobe. If it's been the leading contender for your photo management tool, then I recommend that you take advantage of the early adopter discount and purchase it before April 30. I have lots more coverage in the coming weeks. 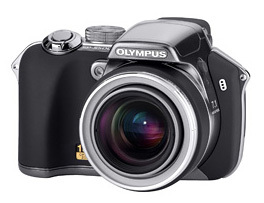 Olympus just announced the Olympus SP-550 UZ, and this looks like a sweet camera. 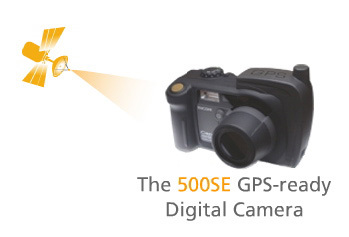 Features include: 18x wide optical zoom (equivalent to 28-504mm on a 35mm camera) 1:2.8-4.5, Dual Image Stabilization, 7.1 megapixels, 15 fps burst rate, and super macro mode. And yes, the SP-550 captures in Raw mode. I think this is going to be a camera that many photographers toss in their backpack for day hikes and family outings. Here's a slick new tool for photographers who use Windows: the Microsoft Photo Info allows photographers to add, change and delete common metadata properties for digital photographs from inside Windows Explorer. It also provides enhanced hover tips and additional sort properties for digital photographs in Explorer (in Details view). 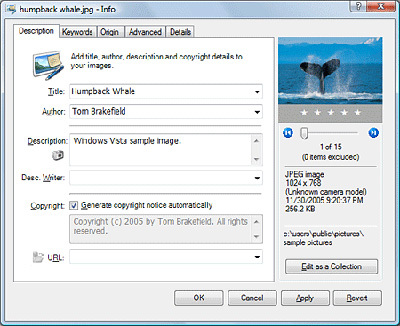 Photo Info is a free download and works on both XP and Vista platforms. People often discover unexpected bounty in their iPhoto libraries: duplicate images. This double-the-joy scenario can happen accidentally in a variety of ways, but the prognosis is always the same -- extra pictures taking up additional hard disc space. Duplicate Annihilator by Brattoo Propaganda Software will identify mirror images and remove them from your library. 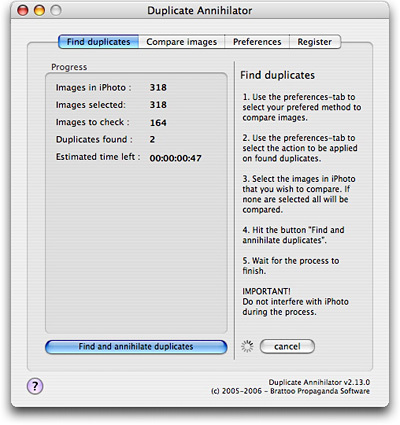 Duplicate Annihilator scans your entire library and takes one of two actions. Either you can automatically move the dups to the trash can, or you can have them identified by the comment "duplicate" for easy searching and subsequent action. Either way, this $7.95 shareware available from Brattoo Propaganda Software is an affordable way to slim down your iPhoto library.